This article explains the step-by-step approach for creating a database service using Oracle Cloud DBaaS, during which we will create the needed Storage Containers that can be used by the Database Cloud Services for backup purpose. We will also learn how to create the SSH keys used during the database creation steps. 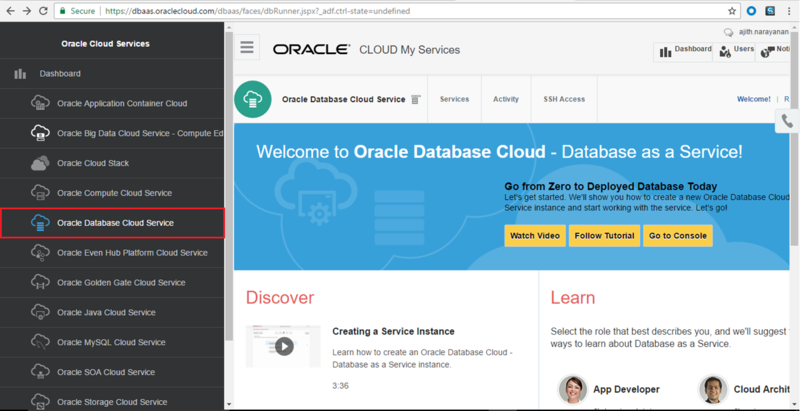 After the database, has been created, you will be able connect into the database image using the SSH private key and create a new user in the database instance. For any business applications, database becomes the core part of the tech stack. In any product development phase the database provisioning (creation, refreshing, cloning & configuration) is a time-consuming task. DBaaS is gaining more traction these days because it enables businesses to deploy new databases quickly, securely, and cheaply. 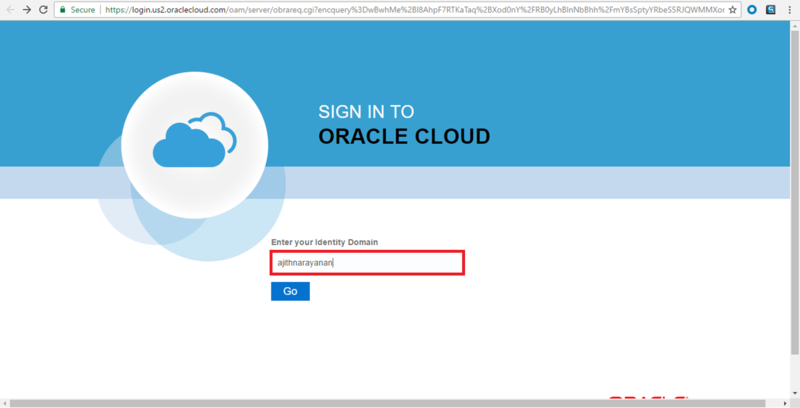 Assumption is that you already have registered for an Oracle Cloud account and have the login information needed to connect to your Oracle Public Cloud domain. Now, we will be creating new SSH public and private keys. When prompted to enter a passphrase, hit return twice. This will remove the need for a passphrase (password) when the private key is used in future steps. Entering a passphrase would provide more security when sharing the private key, but for purposes of this article, we will keep it simple. Click Sign In in the upper right hand corner of the browser. 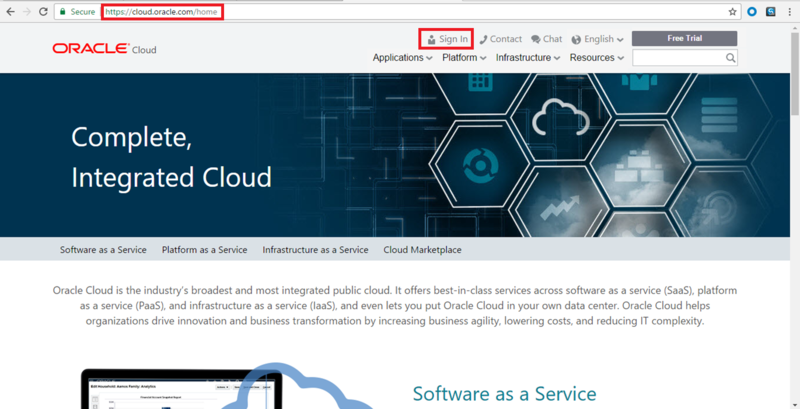 Under Cloud Account, Select Public Cloud Services - EMEA (Or any region close to your location) from the drop down list and click on My Services. 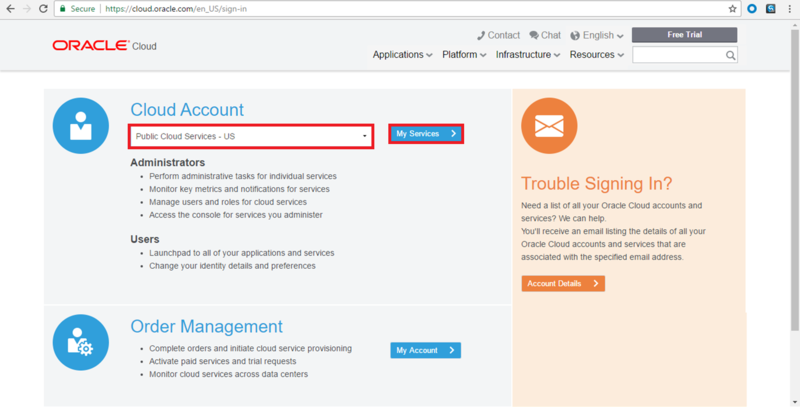 Provide your Service Account information, and click Sign In. 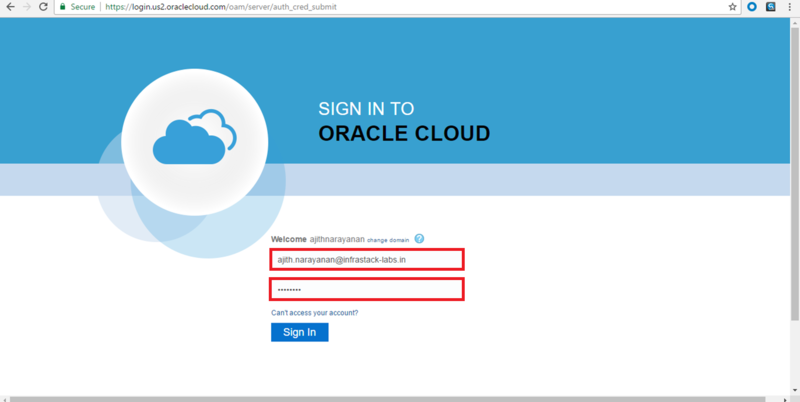 NOTE: The User Name, Identity Domain and Password values would have been sent via email, after you registered for Oracle Cloud. 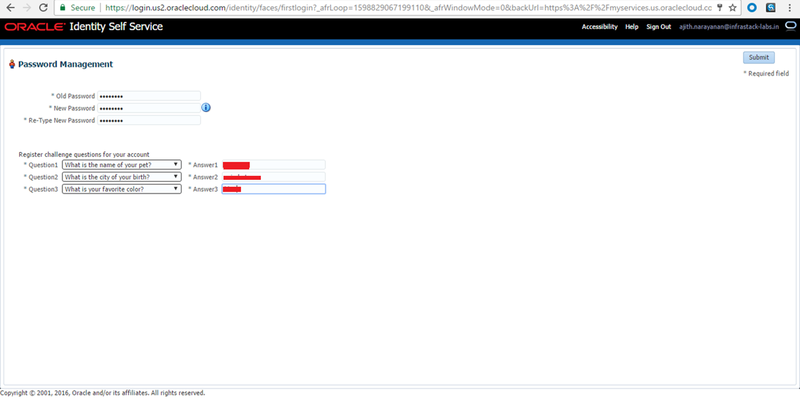 Enter the identity domain name, followed by the username and password. On your first login, you can change the default password of our choice and few security questions as shown below. 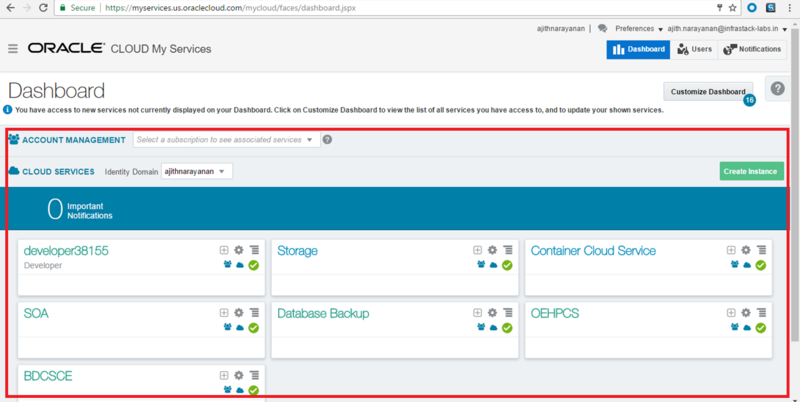 After the password change and security questions, you will be presented with a dashboard displaying the various cloud services available to this account. 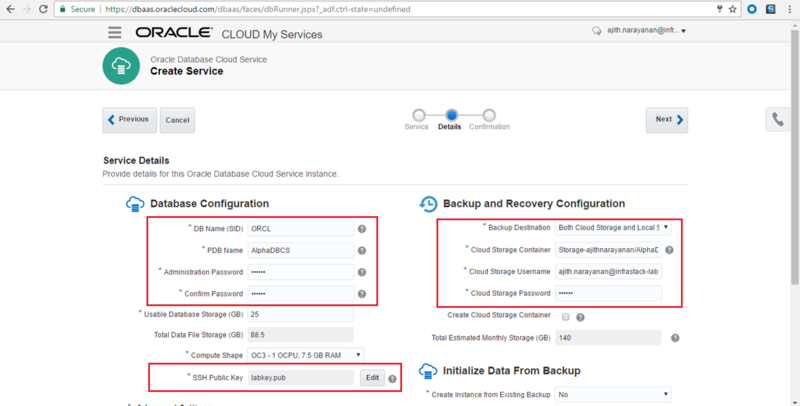 For Database Cloud Service the use of a storage container for backups is required. 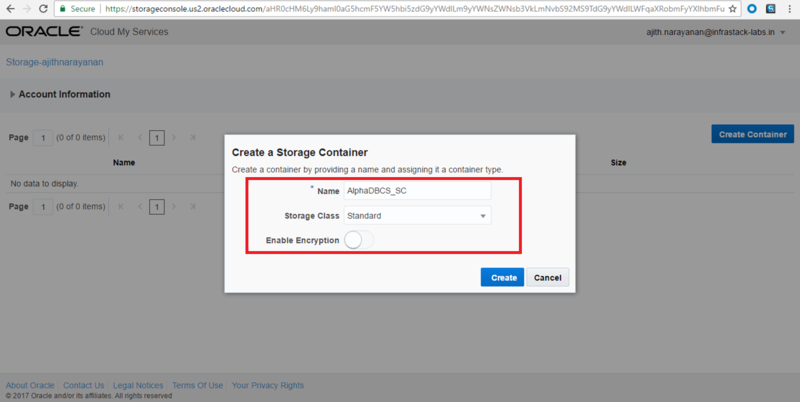 Before running through the Create Instance wizard you will need to first create storage containers to be used by the Cloud Services. 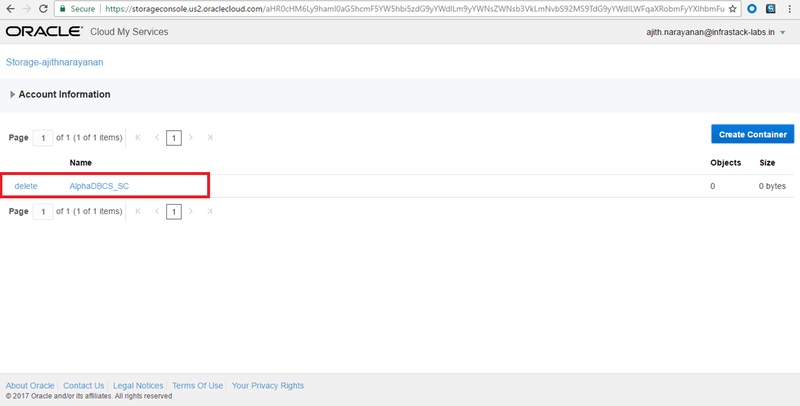 You can perform this step using REST API’s also (Not explained in this article). 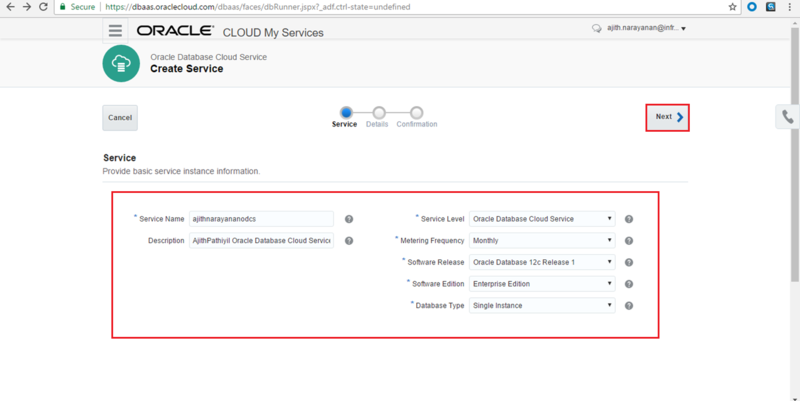 On the left pane, Select the Oracle Storage Cloud Service option as shown below. 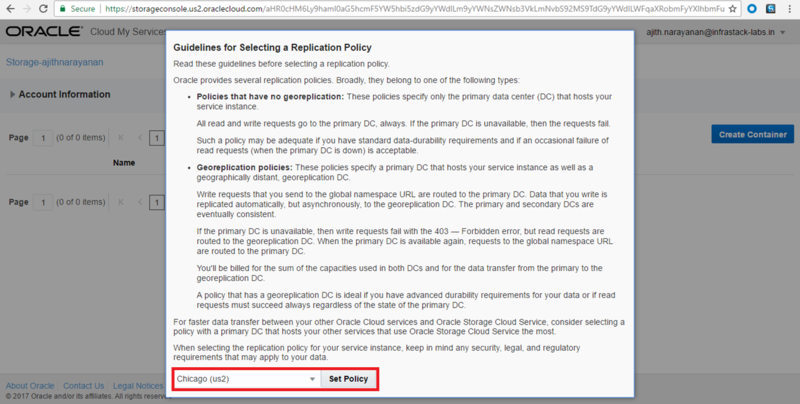 Once the replication region is selected and Set Policy Button is clicked, we are all set to create new storage containers as shown below. Click on Create Container button. Create a storage container as AlphaDBCS_SC as shown below. The newly created storage container will be in added to the list of storage containers immediately as shown below. 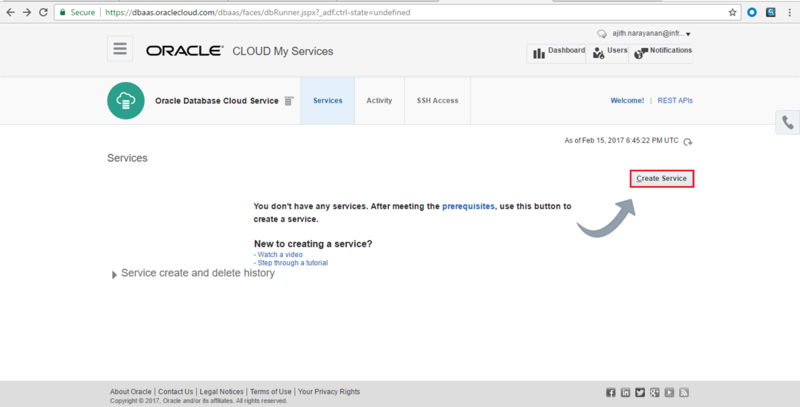 From the Cloud Dashboard, Click Open Service Console for the Database Cloud Service. 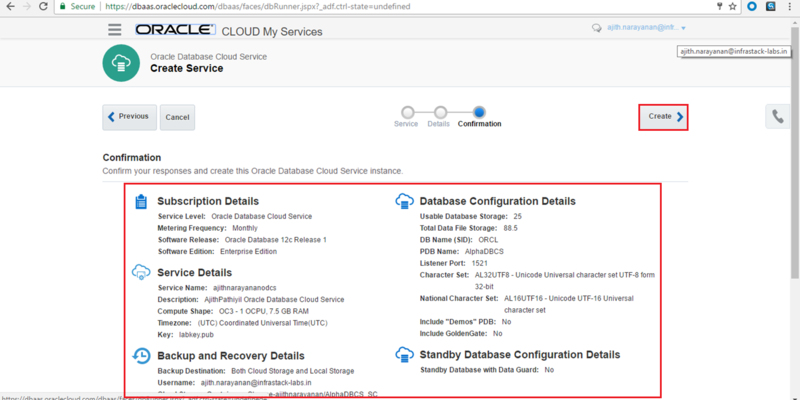 On the left panel, select Oracle Database Cloud Service as shown in the below screenshot. When providing a name, please note you might have another service instance already created in your account, so the name must be unique. The SSH Public Key will use the public key you created using the ssh-keygencommand. 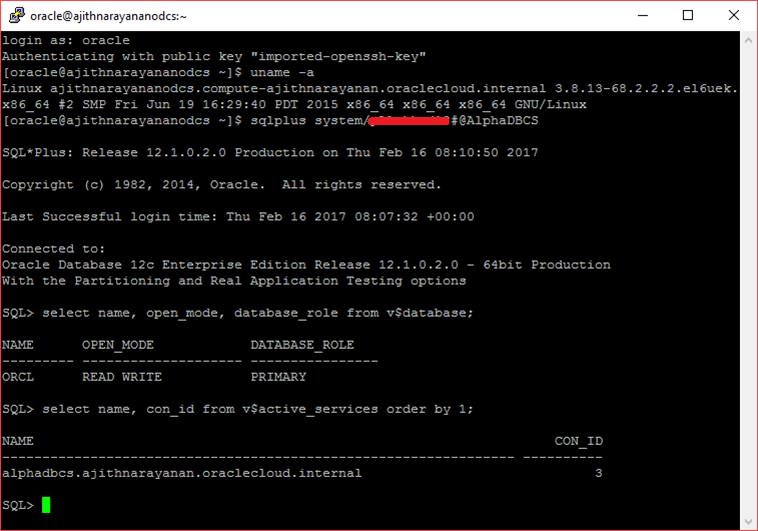 The Administration Password in the Database Configuration section will be used for the Oracle “sys and system” users. Confirm everything is correct and click Create. 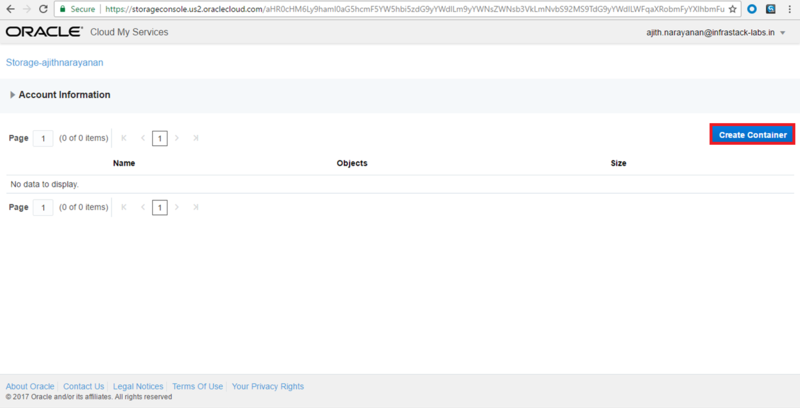 You should now see your new Database Cloud Service instance AlphaDBCS. To monitor the progress, click on the In Progress link, and view the current status. After about 45 minutes the instance creation should complete. 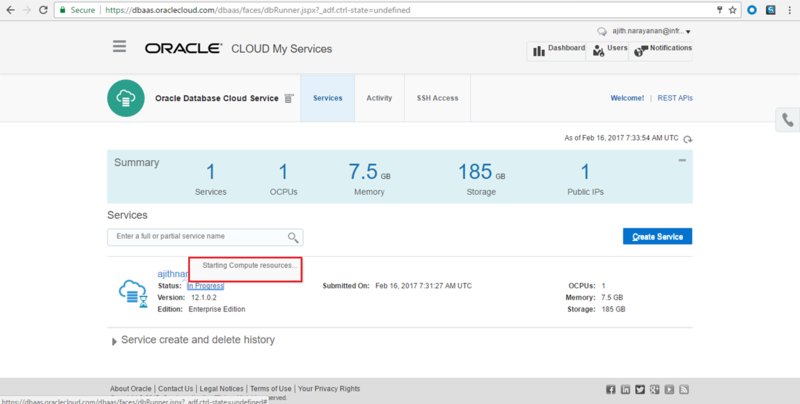 Click Refresh and when the VM Status is no longer displayed, your instance is ready. We will now SSH to the AlphaDBCS VM image. If you are on Windows, you may use the PuTTY utility to connect to the VM. 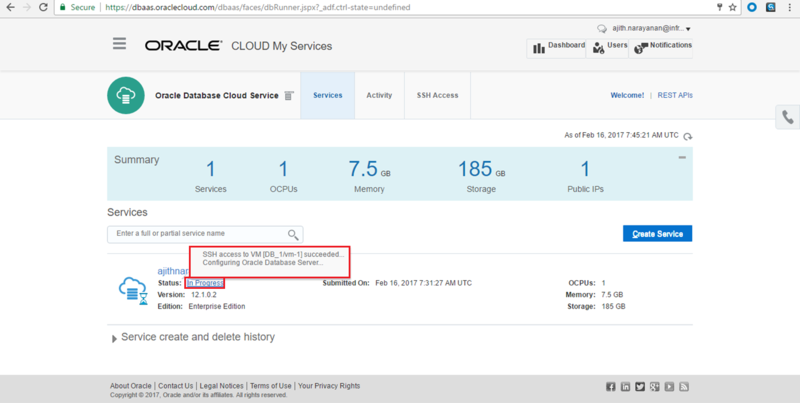 In this article, you learnt how to provision a cloud database using Oracle Cloud DBaaS option. 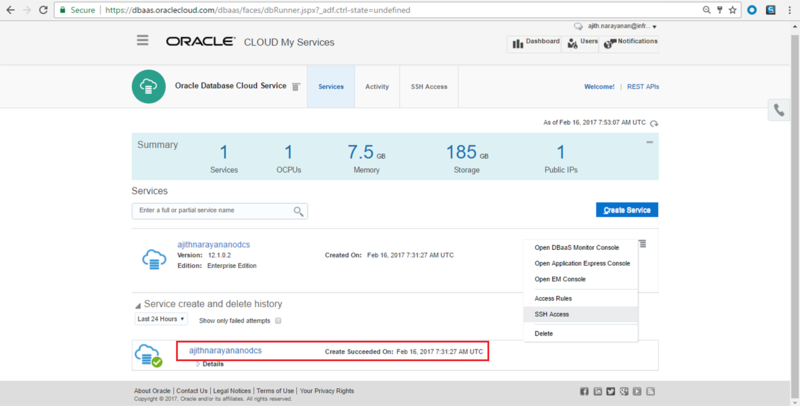 Oracle Cloud DBaaS will provide us the capability of quick provisioning of databases with enhanced security and centralized management of all the databases of your organization. 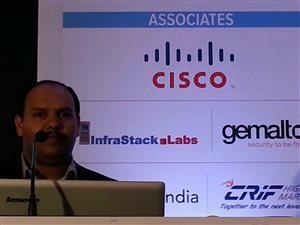 Author of "Oracle SQL Developer"
Ajith Narayanan is currently the Chief Technology Officer (CTO) of InfraStack-Labs, Bangalore, India having a total 14 Years of work experience as Oracle DBA, Oracle Apps DBA, Oracle ERP Platform Architect & OpenStack Cloud Architect with an expertise in Infrastructure Architecture, capacity planning & Performance tuning of mid to large Oracle & OpenStack Cloud environments.